Missing languages: Cucumber, JSP, Smarty, Twig, XML, YAML, Ruby, Python, ... ? 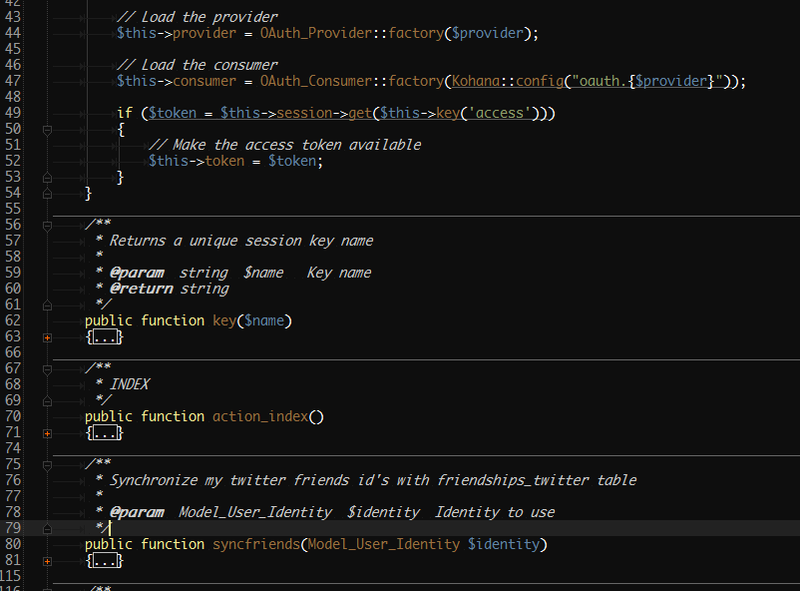 What about a PhpStorm 2 version? Already forgot how to install this.. I was looking under appliction support.. Thanks for sharing! Have a nice holidays! You're welcome guys! I'm glad it's useful. Does anybody happen to know if it's possible to change the background and font color of the tool windows (i.e. project window, phing window...), too? 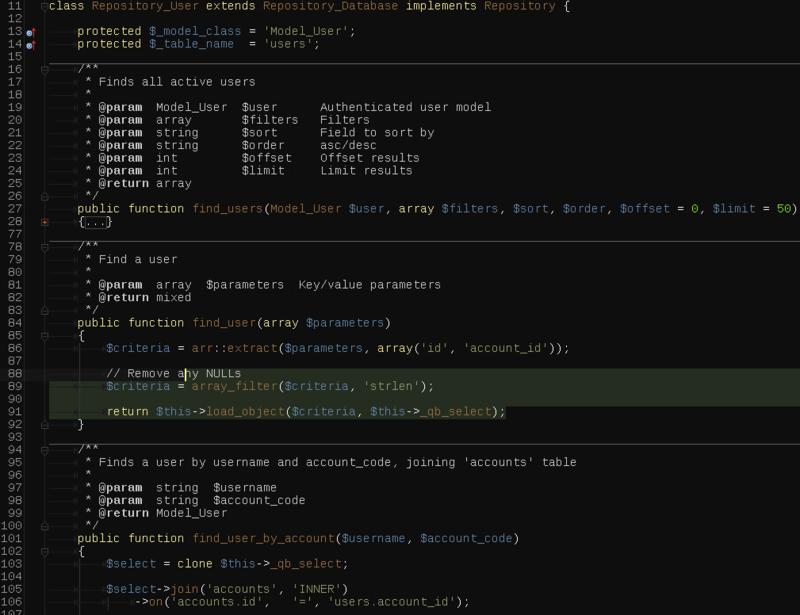 I'm putting together a public database with some phpStorm themes. To make it easier for new users to find and install new themes. Do you mind if I include yours? and post back here the link so we could all enjoy! I would love to see support for Objective-C, if anybody is up to the challenge! Haha I figured somebody would task me with it, so I rolled up my sleeves and whipped something up yesterday afternoon. I'll post it later today! I've added all the "OC." nodes and "OC_FORMAT_TOKEN" which looked relevant. Updated thread with newer version.